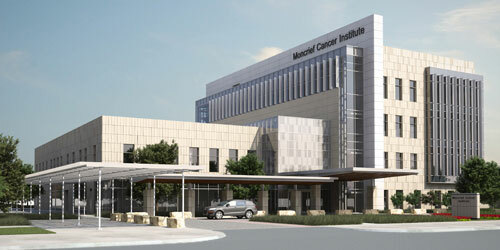 Profile: Moncrief is an affiliate of the UTSWMC's Harold C. Simmons Comprehensive Cancer Center. Here nurse educators, genetic counselors, psychologists, social workers, dieticians and patient advocates work collaboratively to support those living with cancer. Moncrief is the only NCI-designated "gold standard" facility in North Texas - one of only 41 in the country - defined by excellence in laboratory, clinical, and behavioral and population-based research. The Institute features telemedicine capabilities; a TomoTherapy IMRT area; a linear accelerator suite; nurses stations and exam rooms; simulator and CAT-scan facilities; dosimetry, computer and imaging development rooms; patient care areas; physicians' and staff offices; an event garden; a multipurpose room; a 100-seat auditorium and a fitness center.